For nearly a decade, Warper Party has served as a regular showcase for cutting-edge music, visual art, and performance in New York City. 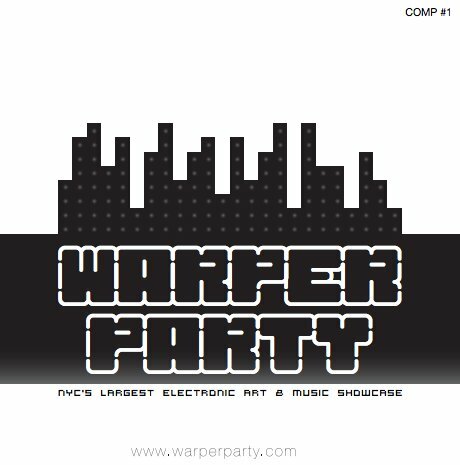 A number of premier controllerist musicians have played Warper Party - and many of them also appear on Comp #1, a new free compilation from the collective. With sets of tracks divided conceptually into "Upstairs" and "Downstairs" locations (based on the rooms at The Delancey in which Warper Party is held), the compilation features contributions from Moldover, AfroDJMac, CØm1x (Dan Freeman), and many others. If you're in New York, don't miss **PULSE**: An Evening Electronic Music & Video Art, co-presented by Warper Party at The Rubin - Friday, April 4.